Trade talks are heating up in the NBA. With Thursday’s trade deadline inching closer, contenders are doing all they can to improve their chances for a long playoff run. That includes the Toronto Raptors, who are currently two games back of the Milwaukee Bucks for first in the Eastern Conference. Sports Illustrated’s Jake Fischer reports the Raptors have offered both Kyle Lowry and Jonas Valanciunas to the Memphis Grizzlies, in exchange for Mike Conley and Marc Gasol. Such a deal would represent the second seismic shift in the franchise in less than seven months. Lowry was recently selected to play in his fifth straight All-Star Game. The 32-year-old point guard is owed more than $33 million in salary next season before he becomes a free agent. Valanciunas is nearing a return from a dislocated thumb suffered in December. The 26-year-old big man is averaging 12.8 points and 7.2 rebounds per game. 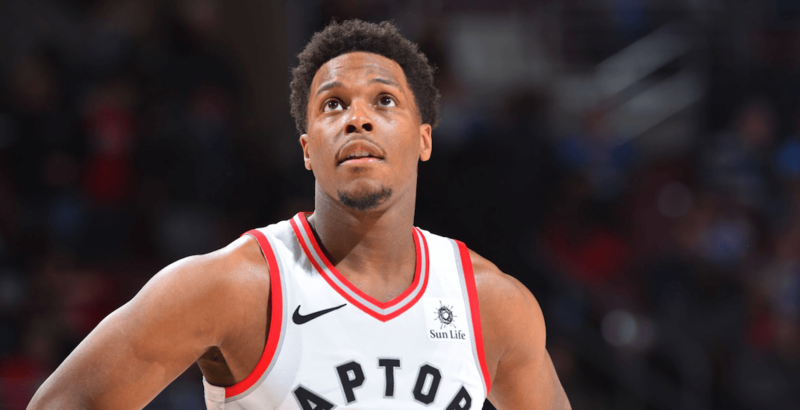 Like Lowry, he has one year remaining on his contract after this season, which will pay him $17.6 million. Conley, 31, has two years remaining on a contract that pays him $32.5 million in 2019-20 and $34.5 million in 2020-21. The 6-foot-1 point guard is having an excellent season in Memphis, the only team he has known in his 12-year NBA career. He’s averaging 20.3 points, 6.3 assists, and 3.4 rebounds per game. Gasol, 34, is a 7-foot-1 big man from Spain. Still productive, he is averaging 15.7 points, 8.6 rebounds, and 1.2 blocks per game. Like Conley, he has played his entire career with the Grizzlies, entering the league in 2008. Lowry, who began his career with Memphis, is in his seventh season with the Raptors. Valanciunas has played his entire career in Toronto since being selected fifth overall by the Raptors in the 2011 NBA Draft. There is competition for Conley and Gasol, as other reports have indicated that the Utah Jazz are willing to part with Ricky Rubio in a package, while the Detroit Pistons have offered Reggie Jackson. The Grizzlies currently sit second-last in the NBA’s Western Conference, so acquiring a player of Lowry’s age might not make sense as they look to rebuild. Sports Illustrated reports that Memphis would prefer to receive a young player like OG Anunoby or draft picks instead. While Lowry’s unlikely to be included in such a deal, it’ll be interesting to see how this affects his relationship with Raptors president Masai Ujiri going forward.